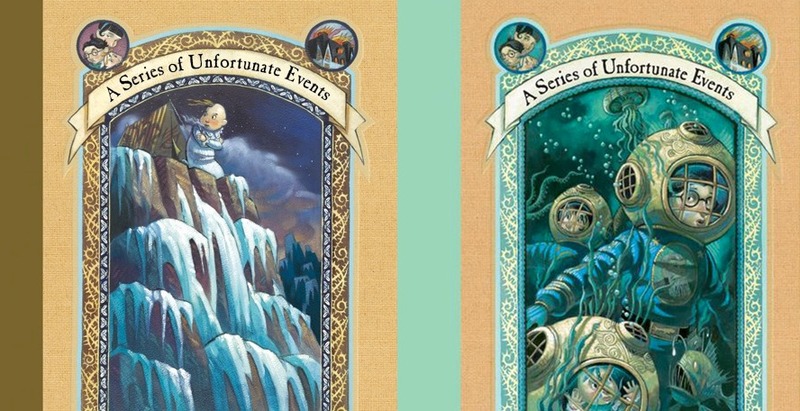 We still know next to nothing about Netflix’s ‘A Series of Unfortunate Events’ adaption, but we can dream. 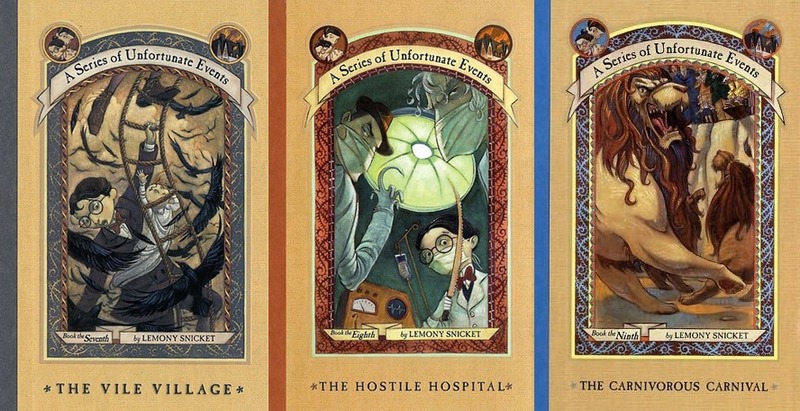 There are few things in this world I am more excited about than the Netflix adaption of A Series of Unfortunate Events. The casting so far is perfect. Neil Patrick Harris looks like a better Count Olaf than Jim Carrey did, and the kids selected to play Klaus and Violet look like they jumped right out of the book. Plus, Netflix is keeping Daniel Handler, the author, close at hand as a producer so they adapt the books accurately. Impatient fans with nothing better to do, like myself, have to wonder, how will the books be broken up across a Netflix series? How do you transition 13 short children’s books into a format broken up by episodes and seasons? The Baudelaires have never experienced tragedy before. When they learn of their parents’ death in a fire that destroyed their home, they simply don’t react. They don’t know how to. Before they can process any of their grief, they’re dragged into the custody of Count Olaf, a character who earns the title of the series’ antagonist. Count Olaf is after the Baudelaire fortune, an immense sum of money the children’s parents left behind for them to inherit when Violet, the oldest, turns 18. Through the entire series, Count Olaf deceives, kidnaps, steals, and kills to get what he wants. Every time, the Baudelaires narrowly evade his grasp. 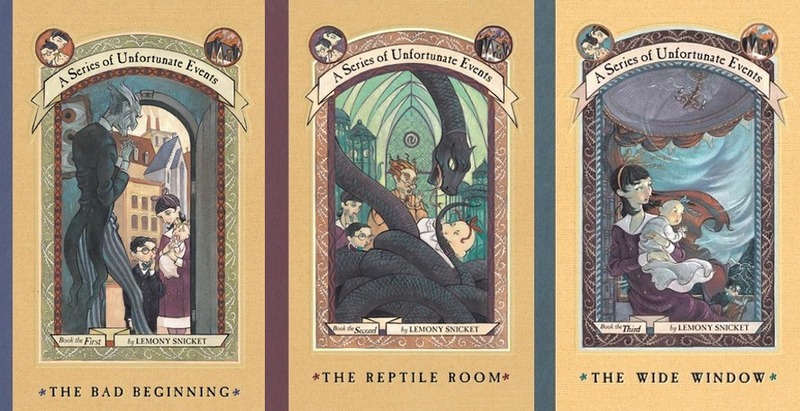 During the first three books the orphans visit the Count’s sinister, disgusting home, a room filled with fascinating reptiles, and a house dangling over a lake infested with flesh-eating leeches. This is just the start of the orphan’s troubles. 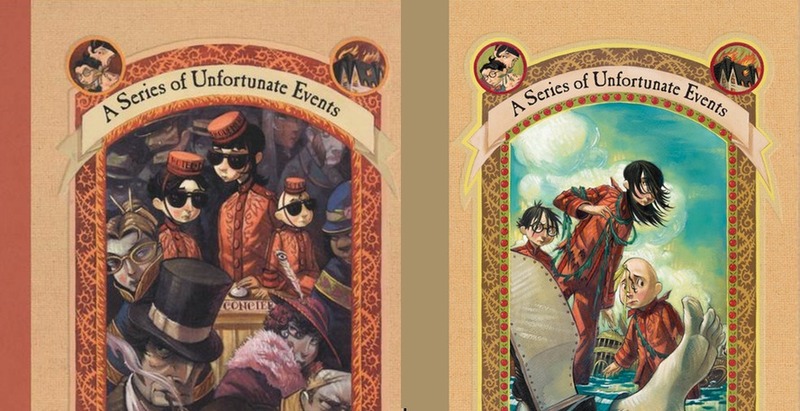 Through the next three books, the Baudelaires come to expect Count Olaf everywhere they go, and they’re right to do so. While meeting even more unpleasant characters, they also meet some who come to be their closest friends. The Quagmire children still consider themselves triplets, even though one of them died in a fire. The Quagmire triplets also have a large fortune waiting for them when they turn 18. The other triplets are also exceedingly smart, just like the Baudelaires. Count Olaf kidnaps the Quagmires, but before he can do so, Duncan Quagmire gives the reader, and the Baudelaires, the first glimpse into the mystery behind these unfortunate events, “V.F.D!” The mystery only grows larger when the orphans find a secret passage from one of their new guardian’s homes, to their old mansion, which is now reduced to ashes. The children no longer fall from guardian to guardian and are more or less on their own. They go to a village where they discover the Quagmire triplets are being held somewhere secret. 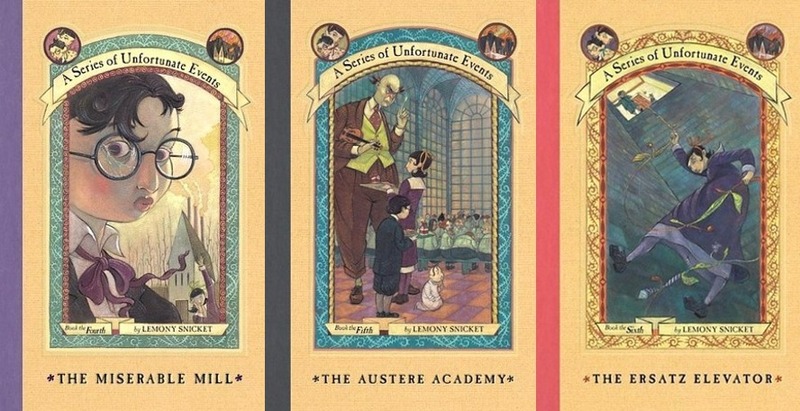 By the time the Baudelaires figure out the location of the Quagmires, they are also running for their lives, as Count Olaf has managed to frame them for murder. The orphans are no longer safe anywhere. Meanwhile, the acronym V.F.D appears everywhere they go. The children come to find that V.F.D is a secret organization — an organization that their parents, Count Olaf, and many other characters they have met along the way are members of. This season will be fraught with violence, as it includes a harpooning, a surgery, and man-eating lions. The orphans begin to discover more and more about this secret organization, its history, and what it had to do with their parents. Eventually, they find the headquarters of the organization, but of course, it’s burnt down. They learn about a mysterious sugar bowl, and something that was contained inside which that caused the falling out of the entire organization, the organization splitting into two sides with two very different goals. At this point in the series, mystery will now be dominating. All we know right now is that season 1 will be eight episodes long. Netflix is free to decide how many episodes each season will include, so the following seasons could potentially get longer as the story progresses. These books are perfect for a TV series adaption. It was never meant to be a movie. In A Series of Unfortunate Events, characters die off constantly. Every book is filled with insane twists that will make House of Cards look like Sesame Street. 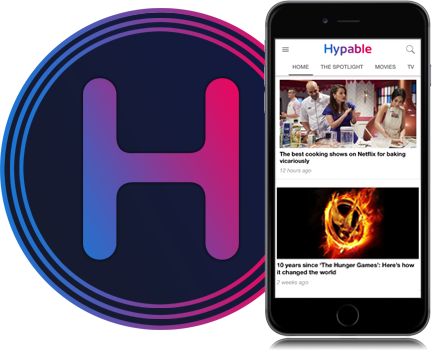 Not only that, but the books are stuffed with colorful, imaginative locations, and addictive, outrageous characters begging to be brought to life in your web browser or on your Apple TV. How do you think Netflix will tell the Baudelaire Orphans’ story? Comment below!